Elisabeth, aka Tamabonotchi/fuckyeaharpakasso, was kind enough to let me bring over her very detailed list of Alpacasso sellers. A huge, huge thank you to her! Everything below has been copied and pasted directly from her Tumblr page here. Here’s my list of places to buy alpacasso online from anywhere! Most of them have a tumblr you can message and follow c: All of them have general info on where they are based and where to order as well as other details I can give on them from personal experience or other! Rosy is probably the person recommended the most whenever someone asks for alpacasso sellers, and for good reason! She sells only authentic alpacasso and has sold a lot. She has reasonable prices with really cheap shipping that includes tracking. She has great customer service whether you want to ask her questions, request a custom listing, etc. She has a very big selection to buy from and the most recent series, all with her own images that show tags and everything. Pixie sells all authentic alpacasso. She has a pretty decent selection to choose from. She also will have the most recent series and preorders that can give you a good deal on a series coming out. She uses a mix of stock images and her own unless it’s like a preorder then she would only have stock images. Alpacasso SG is owned by two people! They sell all authentic alpacasso. They have a pretty decent selection to choose from, and also will have the most recent series. They have good pricing and sometimes very good deals! They also use their own pictures that show you everything including tags. They sell all authentic alpacasso. They have a decent selection to choose from, with mostly recent series still in stock. They had preorders for series coming out for a fantastic price! Great customer service as well- you can send them a message on tumblr if you have any questions. They don’t have a specific price of shipping on product pages but you can find out shipping + combined shipping for multiple items when you add them to your cart on storenvy (she showed me this helpful tip). You do have to add as an ‘item’ the option for tracking for your package. They use their own pictures save for preorders because, of course, they don’t have the stock yet. 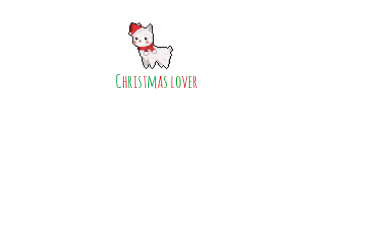 They’re a big website that sells other Japanese goods, and have started selling alpacasso. They have had a couple of issues with quality control of their alpacasso before, but have not sold outright bootlegs or knockoffs. Their prices can be seen as very cheap, but their selection is small with more recent series and having a small amount in stock. Shipping can be expensive as it is always EMS unless you request SAL(but it is a hassle). They will sometimes have coupons for $5 and/or free shipping promos you can take advantage of. If you haven’t used them before, you can use people’s invite links such as mine right here and get an additional $5 worth of points to make purchases even cheaper! KPL sells all authentic alpacasso. He doesn’t usually have full sets but it’s much more diverse with more older series that can be harder to find. He uses his own pictures and shows you all the details. His prices can be a bit more compared to other sellers but because he is located in the US shipping can be cheap and that can also mean your alpacasso come sooner, and for some people that trade-off for a couple of dollars more is worth it for maybe an older series! A new store selling alpacasso. They have just started so the stock is pretty small with only some recent series. Very good prices, though, and because they are located in the US shipping can be cheap and that can also mean your alpacasso come sooner. Another new store that stocks the most recent series along with Amuse Woolys and cute stationary. Like Tokitti's Shop, they are located in the USA so shipping is cheaper/quicker. They also have a sponsor system which means you can get 10% off your purchase when you have a code from a sponsor. 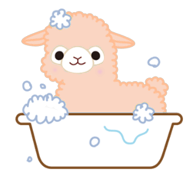 She sells authentic alpacasso on tumblr. It can be random what she has, but she will sometimes have older series for good deals! Derpola is mainly a collector but also frequently sells. She has a sales post sometimes on her tumblr, or you can send her a message or see if she has any sales posts at that time. She sells all authentic alpacasso unless otherwise stated(but it happens rarely). She actually only sells periodically, as she gets her stock when she goes on trips to Japan. Currently she’s inactive but sells alpacasso charms on her storenvy now and has shirts/stickers/etc. with her alpacasso illustrations for sale on redbubble! -Ships from USAShe’s also a dealer that goes to conventions and sells alpacasso. ATM her storenvy has a rather small selection with more of the most recent series. Most of her stock is authentic but she is selling a bootleg right now?? She takes her own pictures. Her prices can be a little bit more than others but since she’s in the U.S. shipping can be faster. There are other collectors on Tumblr that might makes sales posts and they might have good deals as well! Sellers/Places to avoid: Below are a couple of sellers/places to avoid as they are known to sell bootlegs & advertise as authentic. All fake and bootlegs. If you care to have aunthentics, do not buy from them. Sells bootlegs and uses images from other sellers, so even if they are selling any legit alpacasso you couldn’t know for sure. This seller has been horrible to both buyers and other sellers. They sell bootlegs on ebay and advertise them as authentic, but if you speak up about it they will attack you and try to get back at you. They’ve verbally attacked other sellers on many occasions, while changing their name to impersonate people like Rosy and lovelyarpakasso. Please don’t support this seller, even if you want a cheap alpaca and don’t care for authenticity, try somewhere else as this person will profit off shady business practices. There have been reviews from people ordering from this person because they are cheap and then receiving a bootleg. When confronted, they denied it so they don’t show very good customer service. I would also be wary of buying even new series from them as they only use stock images and nothing of their own showing their stock, so you do not actually know what you’re going to get. If you insist on buying from this seller, proceed with caution. Most, if not all of their alpacasso stock are bootlegs. Save for sellers I’ve mentioned above that also sell on ebay, there’s very few authentic alpacasso big ebay sellers. It is very obvious as all of the bootleg sellers are from China and use the same pictures and/or these images have watermarks that say stuff like taobao on it. Taobao is like a Chinese amazon with almost anything you can imagine to buy- including alpacasso for only a couple of dollars. Only thing is taobao is almost all bootlegged stuff and this applies to pretty much all alpacasso sold on there. Nice! Thanks, Elizabeth. This list has been super helpful to me! It was what got me buying alpacassos! I knew I was getting 100% authentic. Is Cutiepiekawaii a legit seller of ALpacasso/ Amuse products? @plushie pens wrote: Is Cutiepiekawaii a legit seller of ALpacasso/ Amuse products? I took a quick look at their site and they do seem to be selling legit Amuse plushes... However, we don't have much to go on customer service-wise so I can't really say anything about them. cutiepiekawaii is legit and good c: i've had quite a few different experiences buying from her and they've all been enjoyable. is tofucute.com the same as the kawaiitofucute listed? i found a Good Night series alpacasso that's on my wishlist that I would love to get, but I don't want to buy it if it's a bootleg. @alpacassassin wrote: is tofucute.com the same as the kawaiitofucute listed? i found a Good Night series alpacasso that's on my wishlist that I would love to get, but I don't want to buy it if it's a bootleg. yeah they're the same, i wouldn't trust it :c which goodnight are you looking for? I have a 50 cm blue goodnight for sale if that's the one you want...PM me! the yellow/beige one. ^^ i was gonna get it from.its-cute.com but i think maybe kellie got to it before me? so now i'm stuck. Does anyone know if the seller Kitsuneanime on eBay is a legit seller ? Their selling a blue Rainbow series Alpacasso I'm after and just want to make sure ! @Jelly wrote: For the eBay store KitsuneAnime it seems they might be an authorized distributor of Amuse so I would harbor a guess to say they are authentic. However, what you COULD do just to be on the safe side is to ask for photos of the tag showing either the QR code or the Amuse sticker. For eBay they have a great buyer's protection. Not only does the store offer returns and refunds but if you receive the item and it is fake or bootleg when they advertise the company, you can file a complaint to eBay saying you did not receive legit items and they will refund. Sorry if this has been answered before, but does anyone know if thelittlestgiftboutique.com is legit? They have some 40 cm Woolys in stock that I can't find elsewhere, so I'm curious. They advertise a lot on Tumblr. @DisneyBunny wrote: Sorry if this has been answered before, but does anyone know if thelittlestgiftboutique.com is legit? They have some 40 cm Woolys in stock that I can't find elsewhere, so I'm curious. They advertise a lot on Tumblr. Yep! I have purchased a 16cm premium wooly from them and had a lovely experience! They are based in Canada, so shipping may take a bit longer if you're in the USA, but I can vouch for the authenticity of what I received! as of recently it seems as though their stock is authentic and i've seen good reviews. however: as far as i know they still sell old stock at conventions which are all bootleg. so if anyone happens to shop with them at a con don't assume that everything they have there is authentic. I think (kawaii)tofucute has started selling authentic alpacasso. I say this because in all the pictures they've posted on instagram and facebook, the alpacasso look legit. I recently bought a 36 cm brown sweet day from there and it's 100% authentic with tags and everything. I saw a video on youtube of a girl who bought a goodnight alpacasso from there (in June) and it's authentic as well. Here's a picture of the sweet day I bought, with tags. For TOM's description: "They have had a couple of issues with quality control of their alpacasso before, but have not sold outright bootlegs or knockoffs. ", well, it's more like any of their alpacasso they sell MIGHT have a few quality problems here and there, like a hole/ripped seams, wonky faces, missing fur, irregularly stuffed head. I recently just opened a shop to sell off any extras I get from Group Orders or box sets. Please feel free to take a look @ Jelly's Fancy Shop! Someone asked me about LoveJojo the other day. I saw their stall a few months ago when I was a bit less knowledgable on what are the key features to steer clear from. But this was the stall I saw, and all *seem* authentic (picture of stall under 'spoiler' below). I think it's the case that they *used* to sell bootlegs, as they do talk about authenticity a lot on their facebook page. I had a similar run in at the con I went to with a company called 'KawaiiKollective' she sold me a bootleg on the day, but accepted it back later on and I sent it back for a refund. I found her site, and things seemed to check out because she was selling all newer series rather than the older one I had bought previously, so I asked to see some labels of her Amuse products, and they all had the correct tags for authenticity. I bought a PoteUsa blanket from her, and what do you know... it had all the correct tags on it! I think it's a bit of chance really. As long as they accept PayPal usually you're okay, as they have good protection against bootlegs, and of course always email to ask to look at the tags. I think with most companies it is the case that they *used* to sell bootlegs; before Amuse became as big outside of Japan as it is now as a collectors item. Also, TofuCute is a really good seller in the UK and I've purchased from them on four different occasions. Not only are their products official, they are also super helpful xD got my birthday gift to me on the day! I did a little video about my first product I bought from their website. Also, they do ship to Europe too quite cheaply I think... so that's another plus! It seems overly difficult to buy them in the UK, since there are so many bootleggers! And outside the UK seems like we can't without racking up a big customs charge. Yeah as said above , Tofu cute are genuine sellers of authentic alpacasso. Three of my four alpacassos are from them. All authentic. Great customer service with prompt shipping. They are currently the only UK authentic sellers for Amuse. I go to quite a few of the events in London including MCM Comic Con and Hyper Japan. 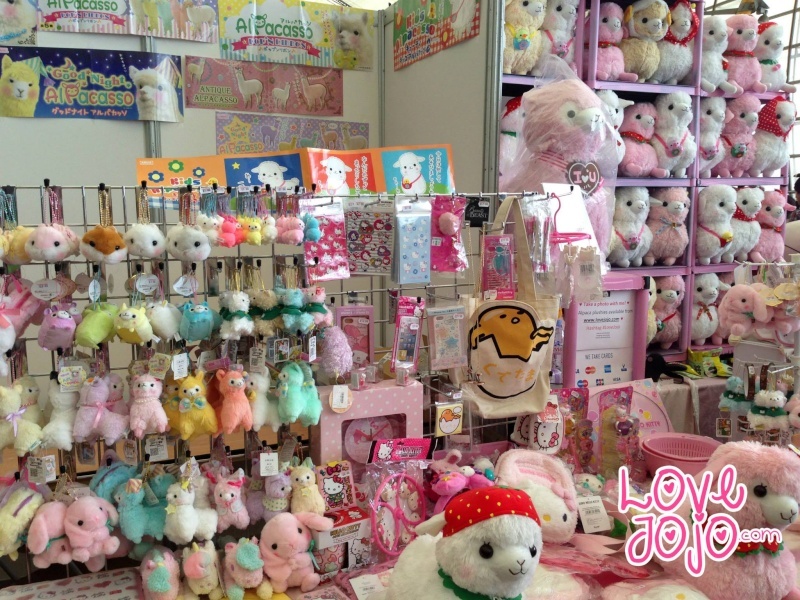 LoveJoJo has recently stated on her website that she only sells authentic Alpacasso products guaranteed and yet many of the ones at her stand and in some of her photos are fake. I can't be sure about all of them but I noticed that she actually turned around the blatantly fake ones in her latest Facebook pictures. It annoys me why she would guarantee it.